Speaking of welded steel pipe, then we have to mention the straight seam welded pipe which is a kind of welded steel pipe. This kind of steel tube can form a straight when welding and because of this welding cracks, the pipe is called straight seam welded pipe. Toady, I will introduce you some knowledge about this kind of pipe and some problems in foreign trade. The first one is the relationship between term and the application of welded steel pipe. At the beginning, it is necessary to know the specifications, types and names of the straight seam welded pipe. There are two types of straight seam welding pipes, one is round welded tube, one is square welded pipe and these two kinds of welded pipes are the two main categories of this pipe specification. At first, we can talk about welded square steel pipe whose shape is square and the middle part is hollow with certain wall thickness. In addition, the dimension varies according to the specifications of the different categories. Of course, the corresponding changes also include the wall thickness. For welded joints, this should be a special straight seam welded pipe because of its special shape. The square is planer. Generally speaking, the pipe should be a curved surface, so the pipe of the plane is a special kind of pipe and its special purpose is for special application. Many occasions, if use circular pipe, can be very difficult to fixed, so it is not easy to application, production or processing and we need to apply some square pipes to actual projects. The second one is round steel pipe which is a kind of common pipe. Of course, the welding steel pipe specifications will also affect the price of welded steel pipes and the price of square steel pipe is higher than that of round steel pipe. 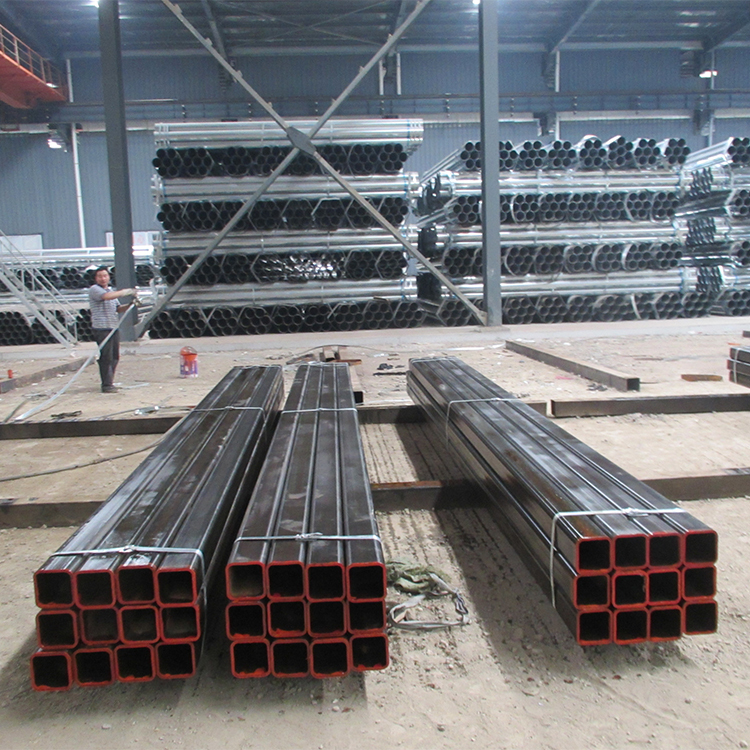 There is also an important issue about the straight seam welded pipe that is the problems in foreign trade where we will encounter various problems difficult to solve such as the differences between pipe and tube. The so called tube is a pipe that has a diameter of less than 15cm and pipe has a diameter of more than 15cm. Besides, pipe and tube are both round straight seam welded pipe without including welded steel pipe because the method of diameter calculation is different. Therefore, in foreign trade, using the terminology of welding steel tube should be very careful for steel pipe manufacturers.